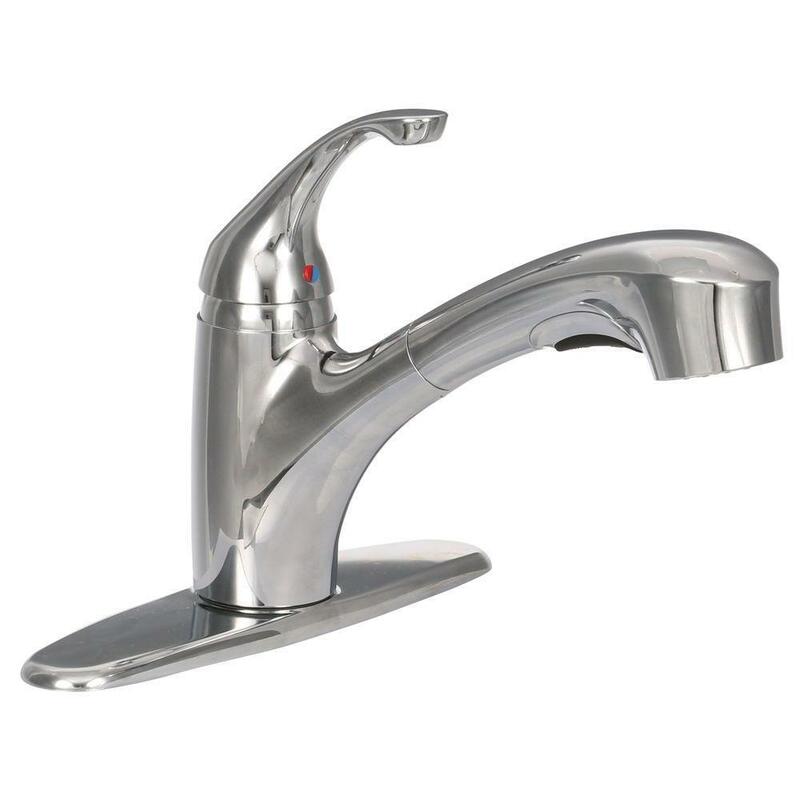 The American Standard Jardin Single-Handle Pull-Out Sprayer Kitchen Faucet in Polished Chrome has the design and functionality perfect for high-traffic kitchens with casual decor. It features a swivel spout, pull-out spray with an adjustable spray pattern and push-button activation. 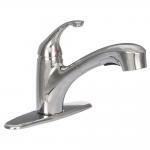 It also has an ADA-approved handle and memory position valving that provides water at your preferred temperature.